W3D Hub: That's right! A BFD:WOA update! 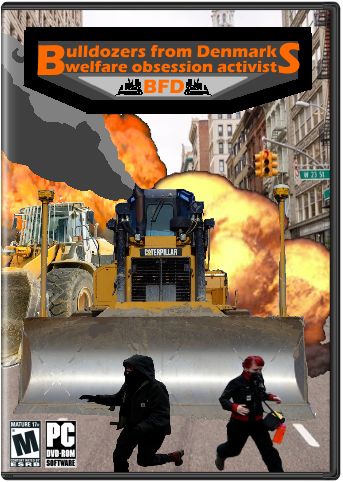 Bulldozers From Denmark: Welfare Obsession Activist is making great developmental progress! We hope to include over 12 unique bulldozers in the final product, four for each of the three houses: House Arthritis, House Harbor and House Orifice! But FRAYDO, don't you mean Battle For Dune: War Of Assassins? WRONG. I don't like sand. It's coarse and rough and irritating and it gets everywhere. Changing the locale to the beautiful country of Denmark is the way to go. This is the new age of BFD:WOA. We will be having an open testing session this evening, no application needed! Just join the game and drive bulldozers. Thats it! Nice sw pun btw why have I not heard of this. Wait this isn't an April fools prank is it? It is now this evening. Where is this testing session? North of Germany. See you there!